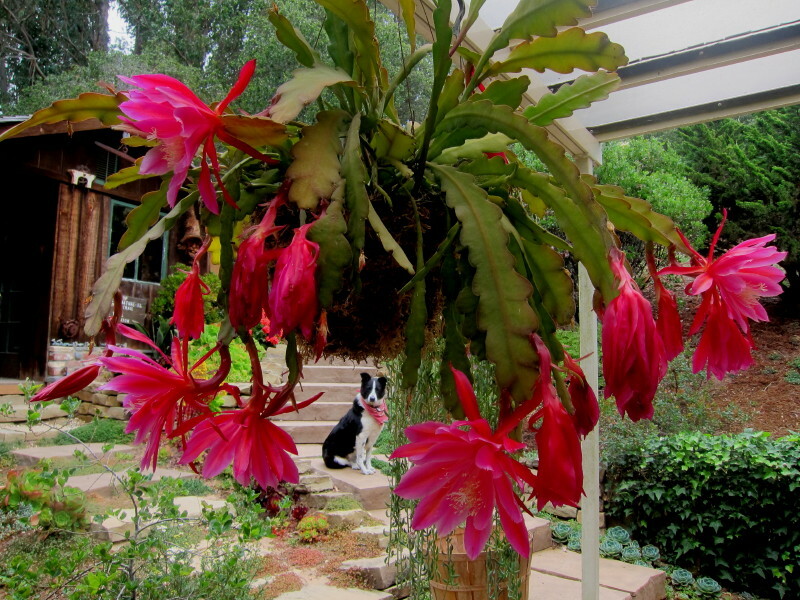 Our dog Reo is framed nicely behind this amazing Epiphyllum in bloom. This entry was posted in Canine, Epiphyllum, Fauna on May 28, 2015 by Shelly. Buddy gave up trying to play with Rose and crashed out for a nap with her instead (dog Reo outside doing the same). This entry was posted in Canine, Fauna, Feline on October 20, 2013 by Shelly. 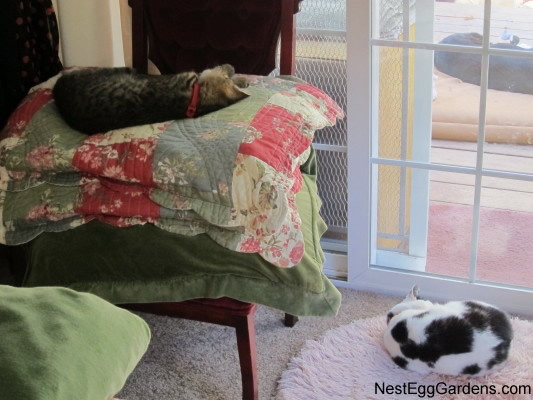 Here at Nest Egg Gardens, we have one feline and one canine… and they match quite nicely. Rose the cat (11 years old) and Reo the border collie (short for ‘Oreo’ 4 years old). Although they were unsure about each other at first, they are now best buddies. They spend their evenings hanging out in the living room competing for our attention. Rose meows for a lap to sit on and Reo rolls over to give a high five. This entry was posted in Canine, Feline on August 1, 2013 by Shelly.